Since 2009 Bruce Engel has been working as Project Manager on the design and construction of a “Women’s Opportunity Center” (WOC) for Women for Women International (WfWI) in Kayonza, Rwanda. The campus of 20 buildings on 1 hectare that make up the WOC provide a place for WfWI to train local women in various vocational job skills. An aspect of this job training was facilitated by the construction of the center itself where in late 2010, Bruce trained 200+ women in the art of brick making. 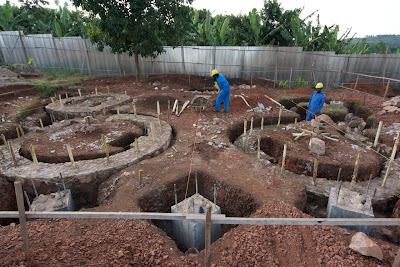 Since then, the women have been producing the 500,000 bricks needed for the construction of their Center. 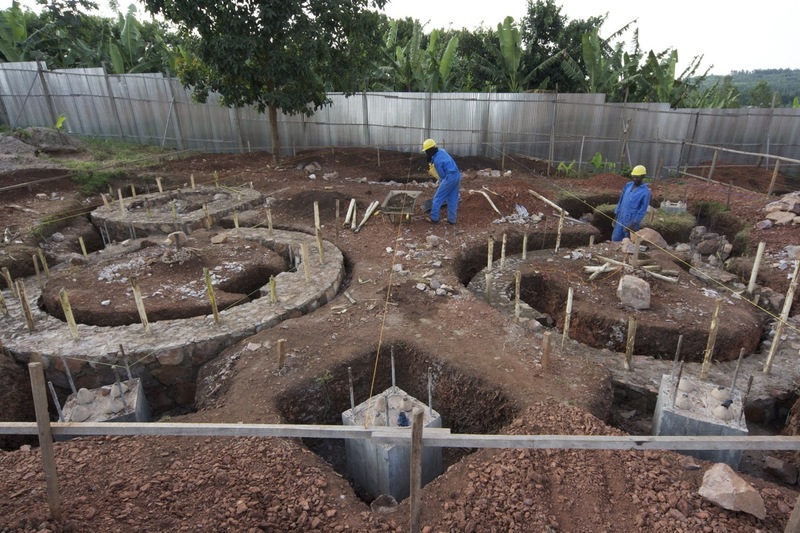 Late last year, the construction of the center commenced. The arctalk will take place on the construction site and will focus on construction related issues: methods of construction, use of materials, construction sequencing and detailing, along with an overview of the design of the center and the various technologies incorporated into the site. The contractors will also be participating in the lecture, to share their point of view on the project and will be available for questions as we tour the site. There will be transport provided by KIST to attend the lecture. Please sign up to partecipate. Spots are available on a first-come first-serve basis. We will departure from FAED building at 1.30pm. 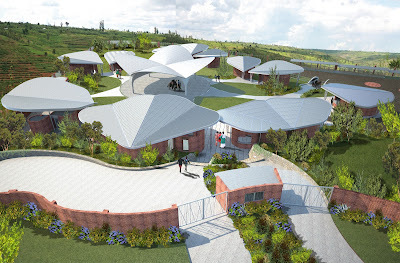 The arctalk and site visit will start at 3.00pm in Kayonza, in the construction site of Women for Women Women’s Opportunity Center on the road to Tanzania.